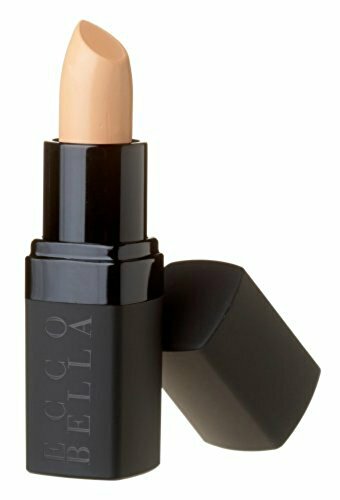 Ecco Bella Concealer Stick | Organic All Natural Cover Up for Dark Circles and Imperfections | Smooth, Superb Coverage, Beige.13 oz. Ecco Bella, begun in 1992, has years in integrity and commitment to providing customers with exquisite natural body care, cosmetics, and supplement products. Our mission is to help you be healthy and beautiful from the inside-out and outside-in, naturally, safely, and respectfully. Your health is our priority. Our mission is to create a non-toxic world with respect and compassion for all living beings. Our expertise in natural products comes from a unique combination of dermatology, alternative medicine, and nutrition. That’s why you’ll find that Ecco Bella products enhance your health, beauty, and emotional well-being. At the same time, we maintain our commitment to environmental stewardship by sourcing organic ingredients and advocating animal protection and environmental preservation efforts. “I am told, time and time again, our formulas are truly different. We don’t make ordinary products. Ecco Bella products are created to be the finest found in natural marketplace due to our personal commitment to using generous quantities of: organic herbs and organic aloe vera, fine essential oils, natural colors, nutraceuticals, cold-pressed oils, exotic butters, and minimal preservatives. What sets Ecco Bella products apart is the purity of the products. I founded Ecco Bella out of protest to cruel animal testing in the cosmetics industry. Photos of animals in labs motivated me to set up this socially-conscious business as an alternative source for consumers. You can be the one to discover our secrets. What does an innovative brand like Ecco Bella have to offer? Products the traditional beauty companies just don’t think of.” Sincerely Yours, Sally Malanga, President and Founder. Help us celebrate our 25th anniversary and purchase our widely popular concealer today!